. I've been a fan of The Spiceman for... it feels like forever and yesterday, at the same time. I can't imagine going a day without using some of the wonderful spices he distributes for Epices de Cru. Or a week without his wonderful newsletters. He's a great story teller. 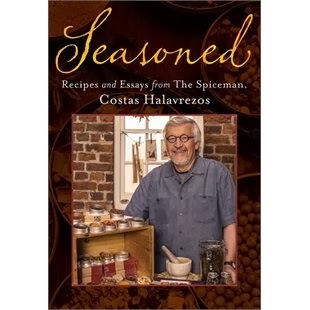 So when I heard about the launch of his book, filled with essays and recipes - each one showcasing some spice, herb or both, how could I not show up and purchase a copy. I know they say "don't judge a book by its cover", but the lovely photo of Costas at his Historic Farmers' Market stand, and the quote on the back would have had me hooked, even if I didn't know Costas. 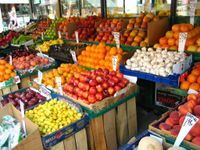 "You're standing in front of my table in the familiar Historic Farmers' Market in Halifax, but for a moment our imaginations are transported to the aromatic, technicolour spice markets of Marrakesh, Istanbul,, Oaxaca, or Alleppy. Towering cones of paprika, bulging panniers of cumin, dangling strings of rare chilies. Shouting vendors. Exotic scents..."
As if that wasn't enough "local" for one evening, my Honey and I caught a late supper at a new restaurant we've been meaning to check out since this summer. It's another culinary experience from one of our favorite local chefs - Craig Flinn. I've written about him and his tasty cookbooks many times. The thing I love most about Chef Craig, is how passionate he is about promoting local food. 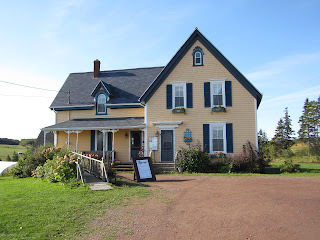 I love his original restaurant, Chives Canadian Bistro, which is still going strong. 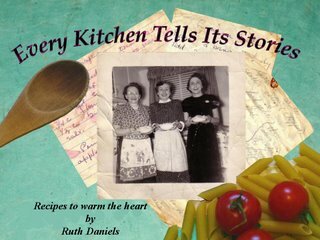 You can even find some of the delicious recipes on their website if you can't make it to Halifax to be royally served. We've been meaning to go to 2 Doors Down, his more casual eatery, which opened this summer and is open for lunch and dinner. My Honey said this was the best hamburger he's eaten, and he is the hamburger maven. We both thought his homemade ketchup was pretty awesome as well. I had Butter Roasted Salmon with local vegetables that was heavenly. It was hard to choose from a varied menu focusing on whatever is in season. I especially love the "Pie in the Sky" dishes. Like most restaurants, there are daily soup offerings (when we were there it was a roasted cauliflower soup), but at 2 Doors Down, there is a weekly special meat or fish pie. I could have had the Seafood Medley, and hopefully I'll pick another week when that's the Pie in the Sky option. It takes 30 minutes to prepare, so I'd call ahead to order it. I don't normally write about restaurants, but I couldn't keep this one to myself. It's our new fave Halifax restaurant, showcasing the best Nova Scotia has to offer!.